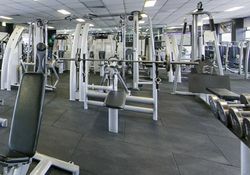 Access the Gym 24/7 and take control of your training! Fitness is a lifelong journey and a commitment. When you reach one goal, set another one and pursue it. Just focus on being better today than you were yesterday. At Elite Physique we don’t care who you are. You can literally be in any physical condition and still work out. You are never too far gone, and you can never be too fit. Join the Elite family to start your fitness journey. There is plenty of time in a day to focus on yourself to change your life forever. Even if you have to adjust your schedule a little bit, you can do it. Successful people find a way. An hour may seem like a long time, especially if you’re tired and don’t feel like running or lifting weights. That hour is only 4% of your day so it doesn’t seem so bad. You have the other 96% of the day to do whatever you want. Come on join the family and get motivated. Located conveniently at the Corner Townshend St and Botany St , Phillip ACT 2606. 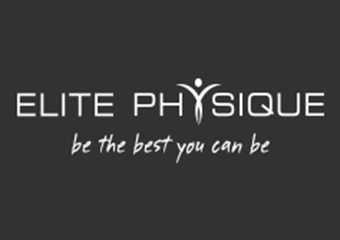 Belinda has worked at “Elite Physique” since it was created in 2005 conducting her own PT business from here and managing and teaching group fitness classes. When the opportunity arose to buy the “Elite Physique” business with her husband Dan she immediately new her dream was about to become reality. Belinda brings a wealth of knowledge in body building, physique training, lean muscle development and nutrition with her background in figure competitions and group fitness instructing. Belinda’s first competition win was in 1994 in London and this is where her love and passion for the fitness industry flourished and later blossomed into her chosen career. Belinda decided to chase herm fitness industry dream and moved to Sydney where she managed a gym and conducted her own personal training clients. This is where her PT business took off and “Changing Shapes Pty Ltd” was created. Belinda is also the group fitness coordinator here at “Elite Physique”. She was a qualified presenter of Les Mills RPM, and now has developed her own brand of functional training classes here at “Elite Physique” called “EFT30”. This is the latest newest class at the gym. High intensity 30 minute full body functional training. Anyone that has done Belinda’s classes knows she is a world class instructor and will bring out the best in everybody. With the growth of the fitness industry over the last 10 years Belinda’s PT service is in high demand as she has put many ladies on stage in peak condition and with a list of results to big to write down but include national and state title placings. She understands what’s required of her clients and ensures they get to where they need to be in the healthiest and best shape possible. Belinda’s service is not just limited to competitive athletes, she has a large client base of everyday people looking to improve their health & well being and lifestyle. Her PT sessions are custom made to the client and whether its pre-hab, re-hab, strength, endurance, cardio, body transformation or just a full body intense workout Belinda will meet you’re needs. Belinda has been a personal trainer and a group fitness instructor for over 20 years. You only have to meet her face to face and straight away you will see for yourself what a true fitness professional is and if you’re lucky enough to become one of her clients you will achieve the amazing results you have been dreaming of. 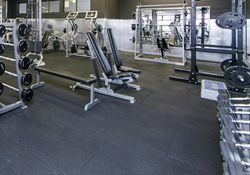 Elite Physique is Canberra’s 24/7 premier muscle building and strength training gym facility. 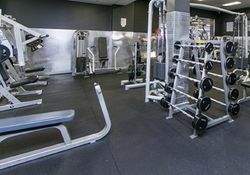 Atmosphere and know-how are important factors and matching these features with the very best in old school Strength Training Equipment as well as Specialized Machines means regardless of your goals, we have the resources that allow you to dial in your workout objectives. Brands such as Hammer Strength, Forza, Elite FTS and Westside Barbell give Elite Physique the edge when it comes to improving your body’s hardware. 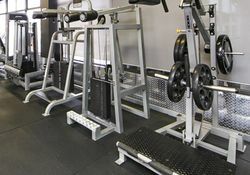 No less than 9 Power Racks including Westside Barbell Mono-lift, Elite FTS Professional Power Racks and 4 Lifting Platforms. All purpose built to accommodate every Powerlifting, Olympic Lifting and Body Building requirements. 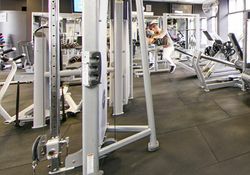 Bands, chains, kettlebells, bumper plates plus competition Ivanko Barbells, Texas Power Bars, Specialized Barbells and calibrated plates, provide the staple to a top-shelf training facility. 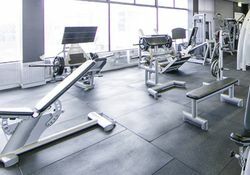 This high end training resource is complimented by some unique specialized benches and machines. Westside GHR and Reverse Hyper, Elite FTS Competition Benches, Forza Super Benches, 1500lbs capacity Supermax Leg Press, Dumbells to 150lbs, dozens of specialized cable machines, & benches. Smith Machines, Pin Loaded and Plate Loaded isolation equipment to target weak points and maintain joint integrity. If you have a lagging body part we have the capability to re-engineer your software. If rehabilitation is needed, we have the personnel and the machinery to regenerate. Of course if all you require is an environment to succeed, then Elite Physique can provide a diverse training platform for you to excel, whatever your strength requirements may be.